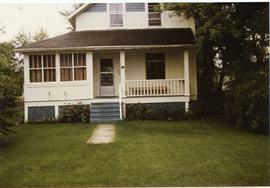 This is a photo of the house at 222 Rosser Avenue. The house was the former residence of Rev. Jake Unrau and Trudy Unrau, and later Rev. Jake Wiebe and Helen Wiebe.